When Job was suffering so horribly, his “friend” Eliphaz “helped” by saying, “According to what I have seen, those who plow iniquity and those who sow trouble harvest it” (Job 4:8). I.e., You’ve brought this on yourself. Job responded to this and similar criticism, “My brothers have acted deceitfully like a wadi, Like the torrents of wadis which vanish” (6:15). The wadi Ze’elim, near Masada, Israel. Ordinary this would be dry. Photo ©Leon Mauldin. Our photo shows Nahal Ze’elim, near Masada, Israel. This area is ordinarily dry. To our back this stream empties into the Dead Sea. 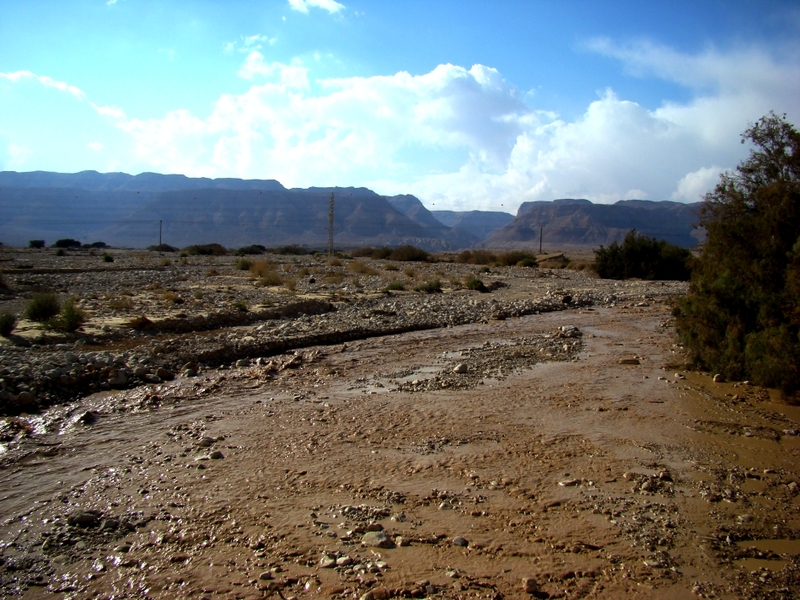 A wadi such as this will carry water for a while, then vanish. This is the word picture Job uses to describe Eliphaz. Job was looking for “kindness from his friend” (6:14) but looked in vain! Like a thirsty man looking for water, but finding the stream had disappeared. A vivid illustration! 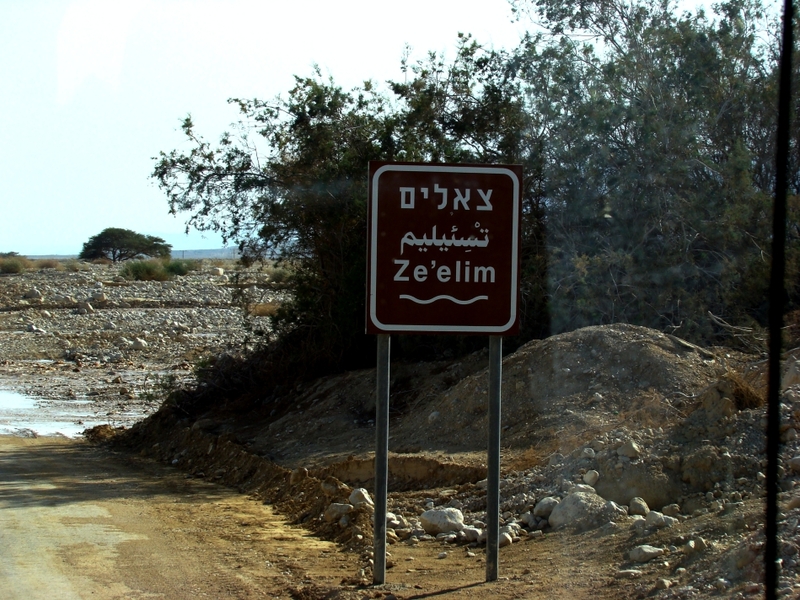 Ze’elim sign. Photo ©Leon Mauldin. This entry was posted on Saturday, November 25th, 2017 at 2:25 PM and is filed under Bible History and Geography, Biblical Interpretation, Israel, Old Testament, photography, Travel, Uncategorized. You can follow any responses to this entry through the RSS 2.0 feed. You can leave a response, or trackback from your own site.